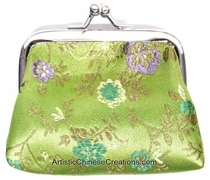 Traditional Chinese silk brocade purse. 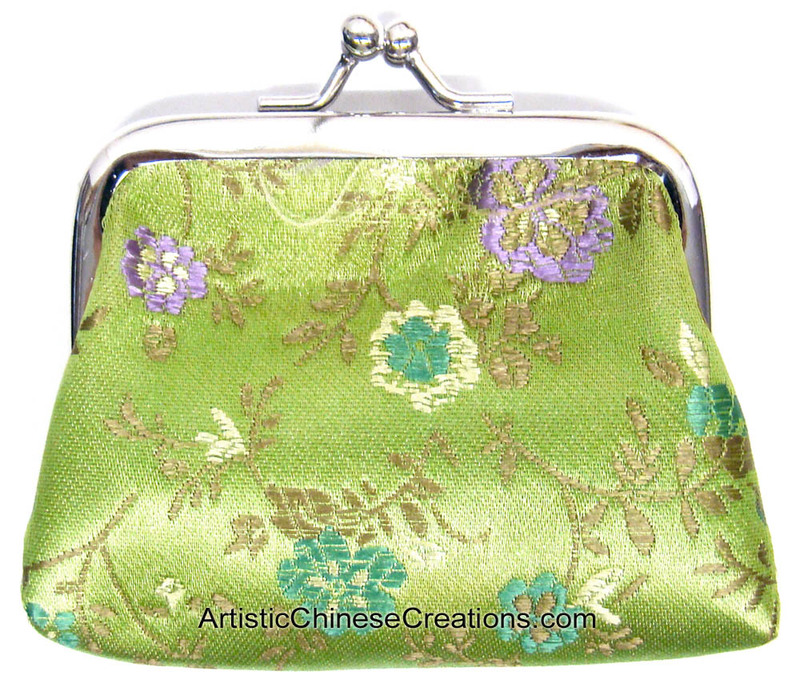 Both elegant and practical, this silk purse is made with traditional Chinese flower pattern. Great gifts for any woman. Silk fabric was first invented in ancient China. It is thought that the first silk was made around 3500 BC. Famed for its shiny appearance and soft texture, silk quickly became highly sought after. Today, China remains one of the premier locations in the World to acquire silk. Our exquisite silk textiles show off this premier craft.